The electric power sector is what keeps modern economies going, and historically, fossil fuels provided the bulk of the energy need to generate electricity, with coal a dominant player in many parts of the world. Now with growing concerns about global climate change, this historical dependence on fossil-fuels, especially those rich in carbon, are being questioned. Examining the implications of the industry's future in a carbon-constrained world, a distinct reality, is the subject of this book. 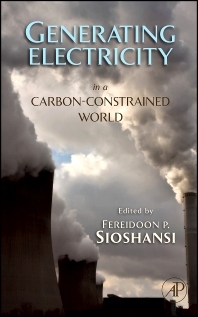 Containing contributions from renowned scholars and academics from around the world, this book explores the various energy production options available to power companies in a carbon-constrained world. The three part treatment starts with a clear and rigorous exposition of the short term options including Clean Coal and Carbon Capture and Sequestration Technology, Coal, and Emission trading. Renewable energy options such as Nuclear Energy, Wind power, Solar power, Hydro-electric, and Geothermal energy are clearly explained along with their trade-offs and uncertainties inherent in evaluating and choosing different energy options and provides a framework for assessing policy solutions. This is followed by self-contained chapters of case-studies from all over the world. Other topics discussed in the book are Creating markets for tradable permits in the emerging carbon era, Global Action on Climate Change, The Impossibility of Staunching World CO2 Emissions and Energy efficiency.